Monday, July 7, 2014 • 8 p.m.
On the opera stage next season, the baritone looks forward to making his role debut as the eponymous antihero of Berg’s Wozzeck at the Metropolitan Opera, in a production featuring Deborah Voigt and led by James Levine. Hampson will also reprise his star turn in the title role of Simon Boccanegraat the Vienna Staatsoper, and revisit such signature parts as Amfortas inParsifal at Lyric Opera of Chicago (as well as in concert with the National Symphony); Giorgio Germont in La traviata at the Bavarian State Opera; Mandryka in Arabella at the Salzburg Festival; and Scarpia in Tosca at both the Deutsche Oper Berlin and London’s Royal Opera House. In the concert hall, he will open the season in performances of Eisler’s Ernste Gesänge with Christian Thielemann and the Staatskapelle Dresden, and looks forward to singing Brahms, Schubert, and Wolf on a twelve-stop European tour with the Amsterdam Sinfonietta. Other orchestral collaborations will include programs of arias and duets with Luca Pisaroni in Prague, Bratislava, Essen, Baden-Baden, and Paris, and selections from Des Knaben Wunderhorn with the BBC Scottish Symphony. The baritone will take his celebrated lieder recitals to London’s Wigmore Hall, the Leipzig Gewandhaus, and to Coburg, Heidelberg, Brussels, and Berne. Internationally recognized for his versatility in operatic repertoire both classical and contemporary, in 2011 the baritone created the role of Rick Rescorla in the San Francisco Opera’s world premiere production of Christopher Theofanidis’s Heart of a Soldier, which commemorated the tenth anniversary of the 9/11 attacks. Other important firsts for Hampson in the 2011-12 season included his role debuts as Iago in Otello and in the title role of Hindemith’s Mathis der Maler, both at Zurich Opera, as well as his house role debut as Verdi’sMacbeth at the Metropolitan Opera. 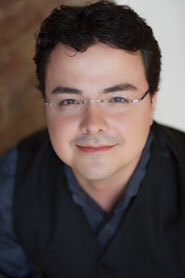 Vlad Iftinca is currently part of the 2013-2014 Metropolitan Opera music staff roster and is also Staff Coach for the Lindemann Young Artists Development Program. Recently, he joined the collaborative piano faculty at the Mannes College of Music in New York City. Born in Romania, he received his primary education at Reina Sofia School of Music in Madrid. He pursued graduate studies at the The Juilliard School. Mr. Iftinca has collaborated in recital with distinguished artists such as Dame Kiri Te Kanawa, Deborah Voigt, Hei Kyung Hong,Erin Morley, Laura Tatulescu, Joan Rodgers, Luca Pisaroni, Isabel Leonard, and Shenyang. Recital venues include Auditorio Nacional in Madrid, Max Joseph Saal in Munich, Palau des Arts in Valencia, Soiree Musicales d’Arles in France, The 2011 Beijing Music Festival, Carnegie Hall “Great Singers” Recital Series, Alice Tully Hall, Los Angeles Opera, the Seoul Performing Arts Center, the Hong Kong Arts Festival, and the Ravinia Festival’s “Rising Stars” recital series. At the Metropolitan Opera he has worked under conductors such as James Levine, Sir Andrew Davis, Valery Gergiev, Pavel Smelkov, David Robertson, Gianandrea Noseda, and Marco Armiliato. Mr. Iftinca has been part of the music staff at the Renata Scotto Opera Academy in Westchester, New York, and he collaborated with “Regina Resnik Presents” performing in San Francisco and New York. Recent appearances include the Metropolitan Museum of Art concert series with baritone Thomas Hampson, recitals in Atlanta, San Francisco, Boston, and New York with mezzo soprano Isabel Leonard, and his conducting debut with The Juilliard School’s production of Rossini’s La cambiale di matrimonio and La scala di seta. As part of Opera on the Avalon 2014 summer festival in Canada, he has led performances of Britten’s Midsummer Night’s Dream. Future engagements include recitals in North America and Europe with Elza van der Heever and Matthew Rose, conducting a new production Lucia di Lammermoor in Romania, and master classes in Dallas, Mexico City, and Bucharest.